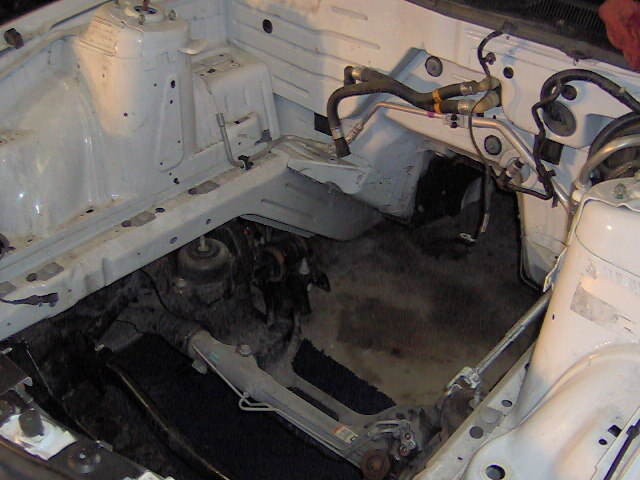 Up on jackstands and hood removed. The Shelby comes with a six speed manual transmission. We will not be using the six speed. 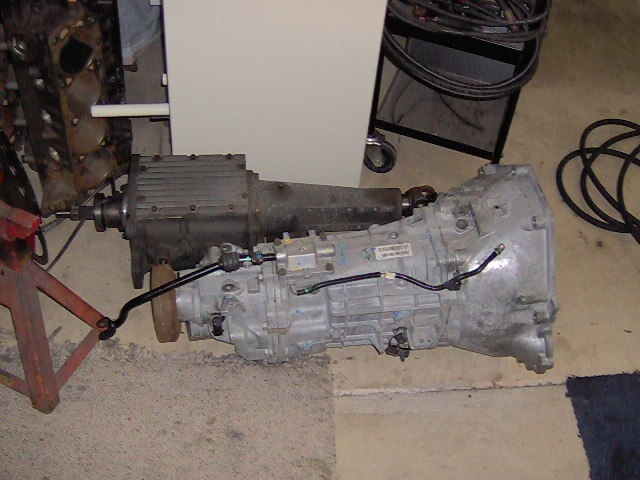 We will instead use either a Liberty five speed or a Jercio four speed transmission. 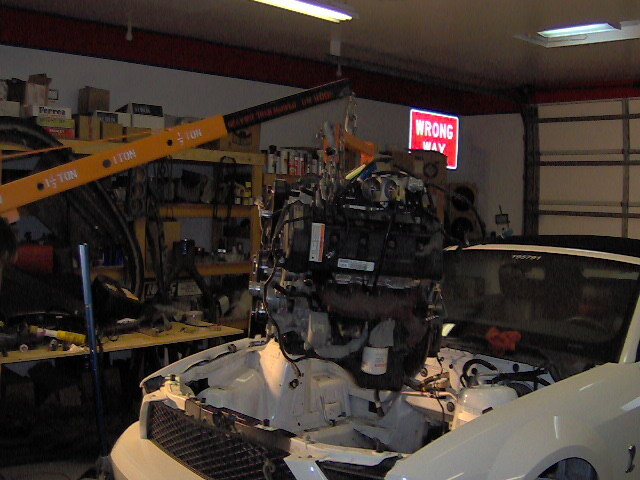 5.4 Liter engine being removed. 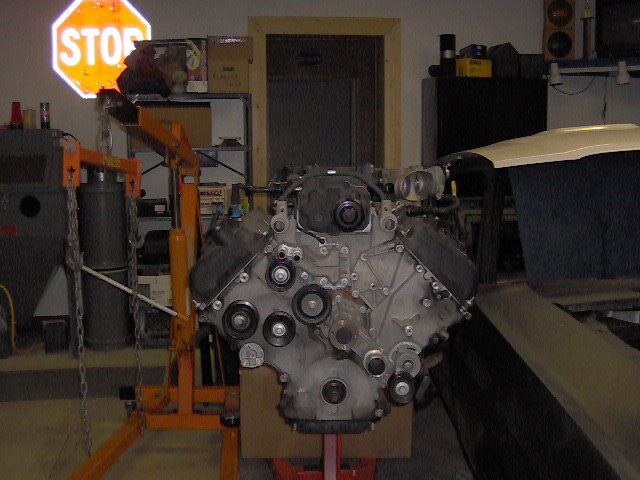 5.4 Liter engine on stand for disassembly. 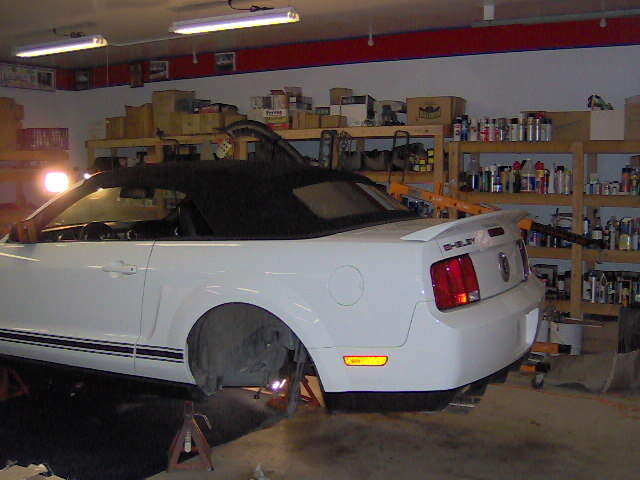 This engine will be modified to Cobra Jet specifications.